Who remembers what our challenge for this year was? Or should we say resolution? A bit of both. We sometimes forget about it. We use our magical trips around Europe as excuses but we haven’t given up on exploring the national parks of our own country either. And now it’s time to show you another beautiful one: Balaton Uplands National Park! Lake Balaton is the largest lake in Hungary – actually, the largest one in Central Europe, too. And we can tell without exaggeration that it is one of our national symbols. 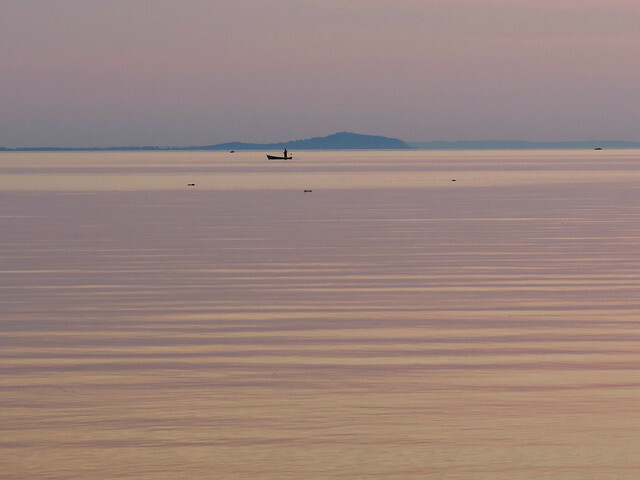 Balaton is very Hungarian – like red wine, goulash, palinka or paprika – and spending a week at Lake Balaton in the summer is a very Hungarian thing to do. Actually, vast amount of people head to Lake Balaton from Budapest each Friday afternoon during summer for a lazy beach weekend. Sailing on the lake is a tradition. Just like fishing or swimming. The shallow water warms up easily during hot summer months. The small village of Tihany with its iconic two-towered Benedictine Abbey is an important part of our cultural heritage. The mountainous region of the northern shore is a famous wine region – oh, wait! This northern shoreland is what is called Balaton Uplands National Park, the one we want to introduce to you today. Balaton Uplands National Park is quite young, it was established in 1997. But the treasures it protects – both natural and cultural – have a rich history. Its rocks formations and lonely hills are relicts of the basalt volcanic activities in the Quaternary. 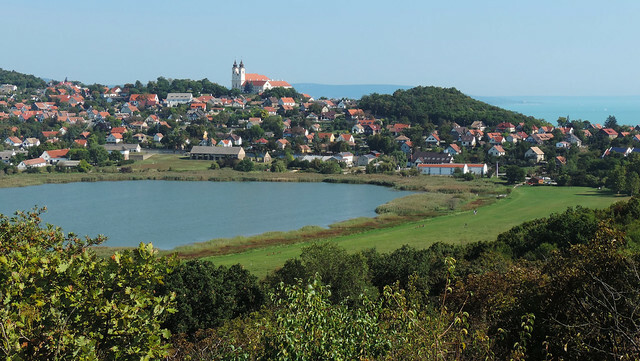 Tihany Peninsula on the other hand is a historical district. The Benedictine Abbey of Tihany was founded in 1055 and its founding charter is the very first extant record of Hungarian language. Just like last time, we’d like to show you this park through our favorite places. So let’s get started! First of all, Tihany is one of the loveliest villages in Hungary with an iconic church and iconic views of Lake Balaton. But Tihany Peninsula offers even more than Tihany. 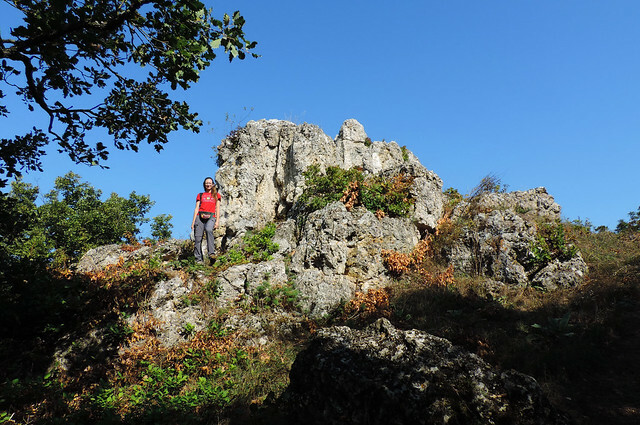 The loop trail around the peninsula is among our favorite hikes in Hungary! It’s a place to find hidden lakes and marshlands and old rock formations that were once geyser cones. It’s also the best place to enjoy stunning views above Lake Balaton. 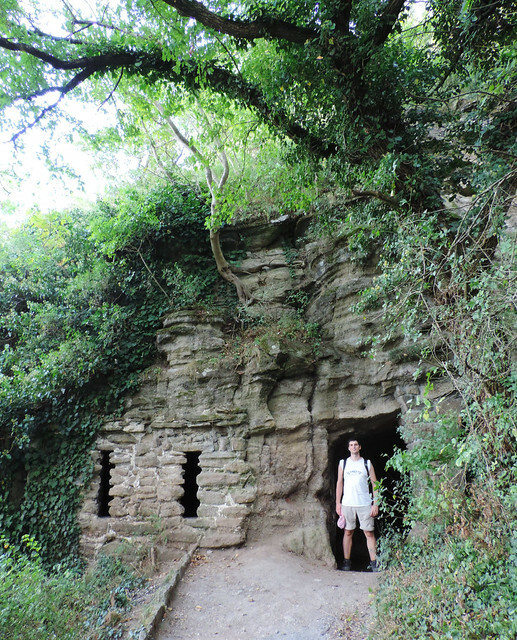 And the old monk dwellings carved into rocks near Tihany are just the perfect ending to this nice half day adventure. 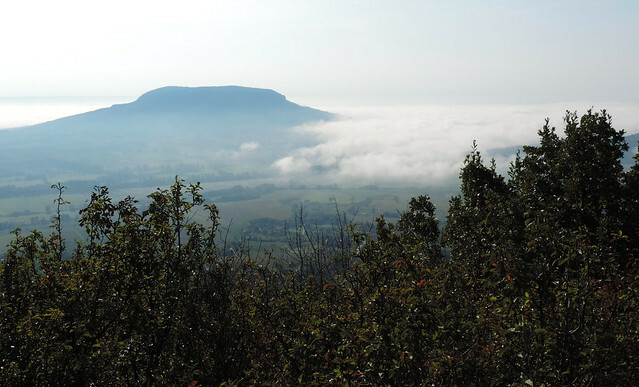 Badacsony is one of the lonely basalt mountains of Balaton Uplands – they are called “witness mountains”. Though they look rather like hills today, they are the last remaining witnesses of the volcanic activity in the Quaternary in this area. 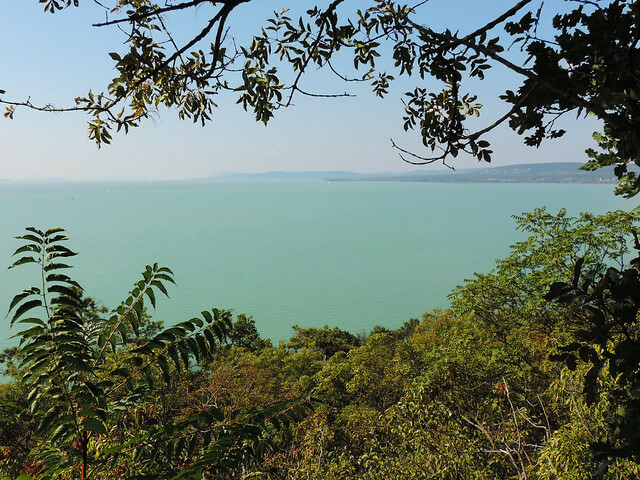 Badacsony has a nice loop trail that offers views of the surrounding “witness mountains” and, of course, Lake Balaton. Its highest viewpoint is at 438 m – no mountain climbing, it’s just a pleasant walk, right? The “witness mountain” named after Saint George (Szent Görgy in Hungarian) is even closer to our hearts than Badacsony. Partly because of our memory of the wonderful sunny-foggy morning view of Badacsony from there. 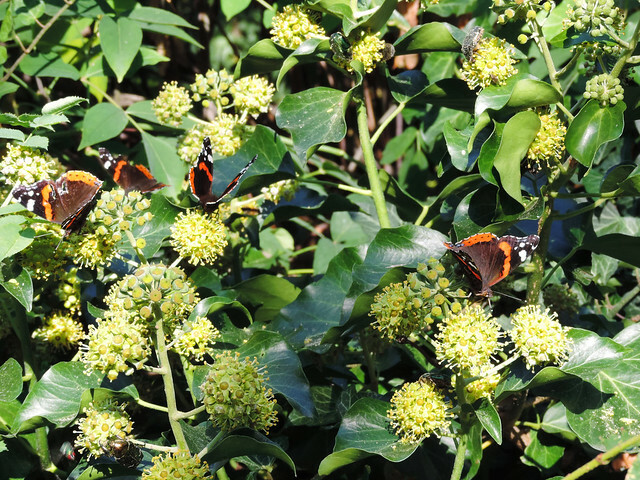 And the countless butterflies we happened to see. 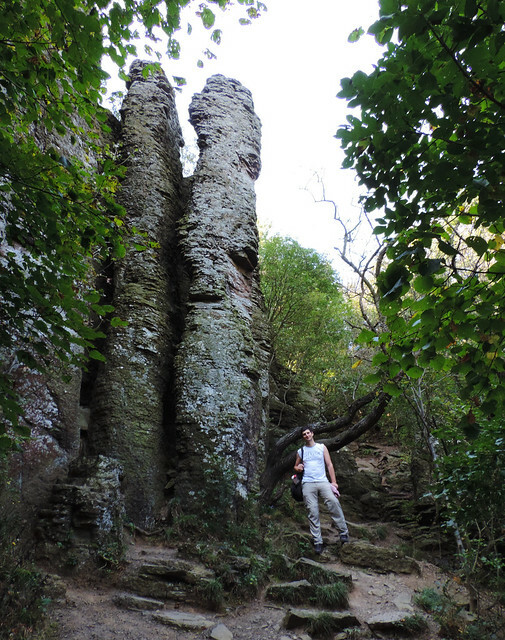 But the highlight of the educational trail is supposed to be the old basalt columns, by the way. There’s another pretty lake in this park and its specialty is that it’s under the ground. 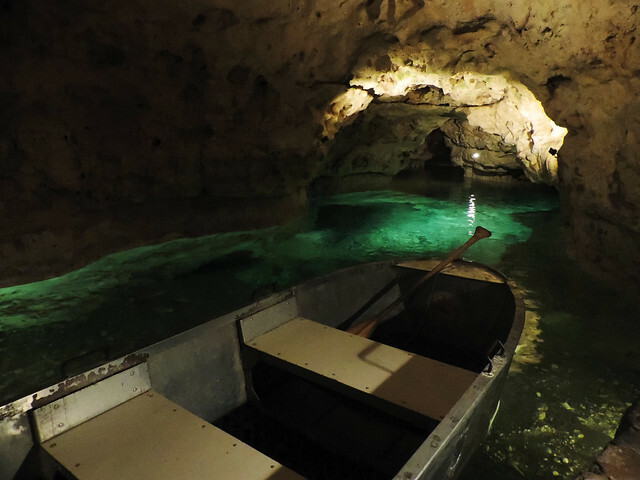 The Cave Lake of Tapolca is one we can navigate through by boat and it’s much fun! 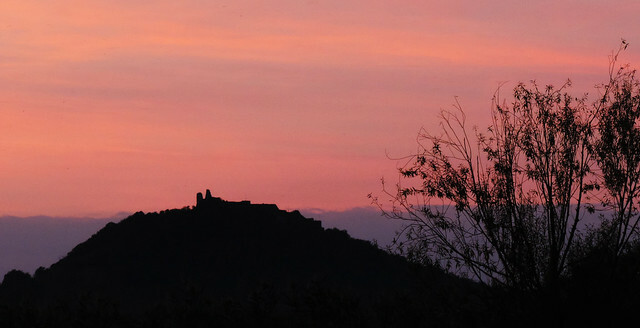 Because castle ruins on hilltops are romantic, especially at sunset, aren’t they? 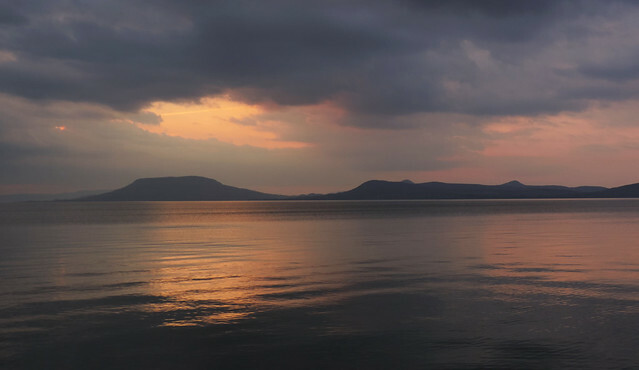 And speaking of romantic things we can’t miss the serene walks on the lakeshore of Balaton at sunset. Swans are reflected in the calm water and colors are dreamy pink and purple. Balaton Uplands National Park guards natural treasures just as much as cultural ones. 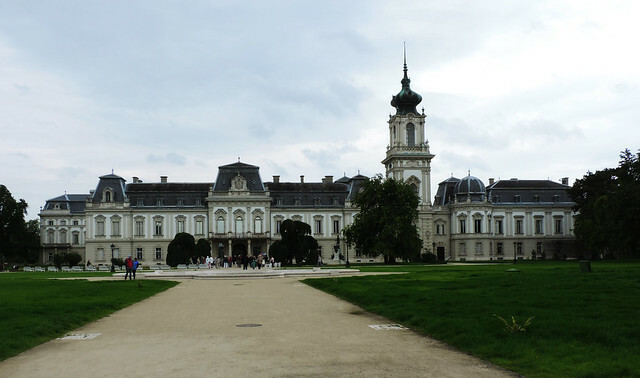 Festetics Palace in Keszthely is one of our favorite castles in Hungary. This furnished Baroque palace is open for self-guided visits and its charming garden can even be visited for free. The original owners of the castle, the Festetics family was one of the most significant ducal families in Hungary. They founded Georgikon, the first agricultural college in Europe in 1797. And they built this amazing palace. A unique place we must confess we haven’t explored yet is Kis-Balaton. But this list wouldn’t be complete without it because it’s one of the most untouched areas of Hungary: a unique wetland that is home to countless bird species. It’s definitely on the list for our next visit to Balaton Uplands! “Any time of the year” is the standard answer to the “when to visit?” question. But it really depends on what you want to do. Our favorite seasons are spring and autumn because weather is ideal for hiking and it’s far less crowded than summer. Most Hungarians visit Balaton in the summer though (hence the crowds…) and no doubt, that’s the best time for beach days. Winter is always a tough question. When there’s no snow, trees are bald and the landscape is grey, it’s quite a depressing sight – not just Balaton Uplands but the whole country. Our struggle with Hungarian winters, yepp. But once snow is involved it makes everything magical. Rarely Lake Balaton is frozen and last year it was even possible to do some ice-skating on its frozen surface. We can usually choose from a variety of guest houses and hotels wherever we are in Hungary. It applies to Balaton, too, though prices are probably the highest around Balaton – and in Budapest. Places to stay close to the main sights and trails of Balaton Uplands are Tihany, Keszthely, Szigliget or Badacsonytomaj. So Balaton is a popular getaway and that means it’s easily reachable by public transport. Though its southern shore can be accessed more easily by direct trains from Budapest, the northern shore has direct bus connection with the capital. Plenty of bus lines run quite frequently on the northern shore – like the ones from Budapest to Tihany or Keszthely – and they stop at most of the smaller towns on the way. Are you ready to explore another face of Hungary? 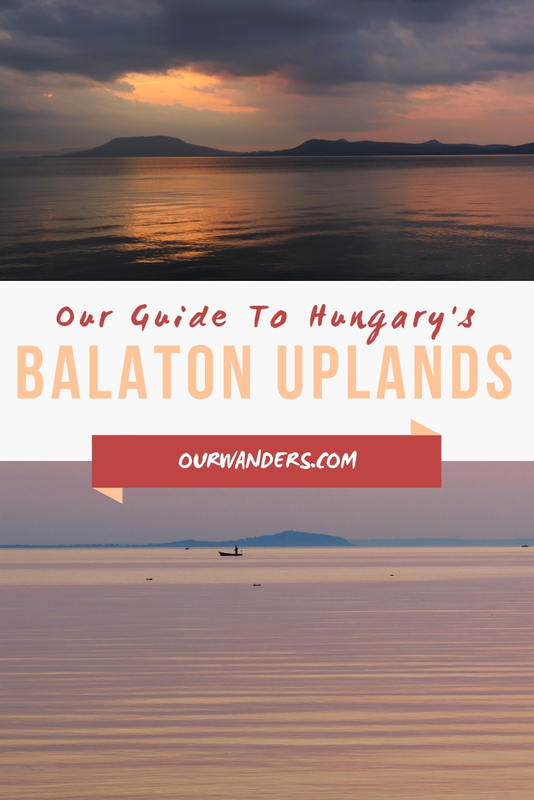 Would you visit Balaton Uplands? Next post Turning 2 Years Old – Have We Survived?